An illegal vodka operation run by the Irish Republican Army (IRA) has finally been infiltrated by Customs officers after two decades. The counterfeit operation was uncovered by Customs officers last week following the multi-million euro IRA moonshine operation, as reported by The Sunday Independent. Among the items seized were 110,000 bottle caps and 400,000 fake labels for brands including Smirnoff, Stolichnaya and Glen’s, which were found in a shed in Kilcurry, Co Louth, as well as with 500 cardboard boxes. A bottling plant, believed to be just part of the IRA’s illicit alcohol racket, was also discovered. The IRA’s distilling operations are believed to have begun as far back as the 1990s with it known to produce counterfeit vodka and whisky. Customs and police on both sides of the Border have known of the operation for many years, but were only able to trace the plant this week. Customs and police are yet to determine whether a distillery is in operation in the area. 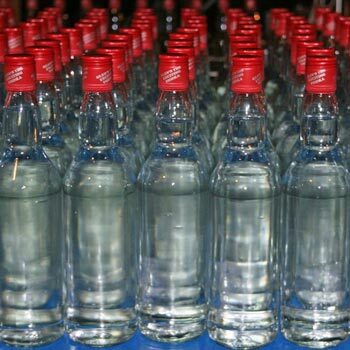 Following the raid on Wednesday, Customs warned that cheap alcohol from an “irregular source” is likely to be counterfeit and could cause “serious harm” if consumed, while also depriving the Exchequer of much needed funds and damaging legitimate trade. Two men were detained but released without charge.